Our comparisons help you find the best web hosting service. A reliable hosting guarantees you good uptime, fast load times and easy setup. If you are looking for web host for your new WordPress site, then you have numerous options in front of you. There are hundreds, if not thousands of great providers of web hosting services. This post is aimed at anyone who’s creating a new WordPress site or those who’ve created a new WordPress site and aren’t satisfied with their web host. With so many options, the question then becomes, “how do you pick the one that’s best for you and your website?”. There are a number of parameters that play a role, in the suitability of a web hosting service. In case, you were wondering we use Kinsta. Now the plans that we’re on currently set us back $1,800 a month, depending on data transferred. With web hosting, one size certainly does not fit all. The ideal web host for Colorlib is probably not the best one for you. If you’re starting a website under a new domain name, you’ll find the costs expensive and the hardware unnecessarily powerful . Every scenario is different, a few pointers to help you find the right host. First, we need to address your requirements. What is your current website traffic? How much do you expect it grow in the next few months? How scalable a web hosting provider do you want? This would depend on your answer to the previous question. Do you require your hosting service to be developer friendly? What is your allocated budget for your hosting solution? These should be foremost among the questions that you need to answer, before you try to identify the right hosting solution for your WordPress site. What Features To Look Out For In Your Web Host? Good hardware is essential to ensure great quality of service from a web host. The memory (RAM), the processing power (CPUs) and disk space (HDDs & SSDs) made available to you play a big role in determining the overall performance of your website. Now the usage of your RAM and CPU, depends on the type of content on your website and the number of visitors at any one type. For example, if you create viral content the average hosting plan provided to you at minimal cost is not sufficient to handle such bursts of traffic. It will cause your website to slow down and on the rare occasion even go offline. And we can’t have that. It isn’t disk space that is important, seeing as though there are many hosting companies who provide you with unlimited disk space. Rather the ability of your host to get the information quickly to your visitors, in other words the transfer speed that counts. And it is even better, if you have a web host who can keep your site’s data transfer times low, even under high load. This depends largely on your familiarity with different hosting solutions. You’ll need less support, if you know your way around WordPress installation, migration, security, caching, site backups and restorations . But even if you know everything, there is always the potential for that one glitch to mess everything up and it is advisable to have a web host who cares about ensuring that their product functions as advertised. And most providers of web hosting services ensure some degree of support. They provide support via telephone, support forums, live web chats, emails and a support ticket system. Most web hosting services have uptimes in excess of 99.5%. There a very few in the sub 99% region. While it doesn’t seem much, if 0.1% has a significant impact on your income from your website it becomes rather important. Otherwise, it is not something you need to concern yourself with. I say this because most web hosting companies of repute have excellent uptimes. 4. What Else Do You Expect Of Your Web Host? Caching – Some web hosting companies provide caching to help ensure increased speeds. In house caching includes caching on the server side and the client’s end. There are few plugins to help with client side caching, head over to my previous post on the WordPress caching plugins. 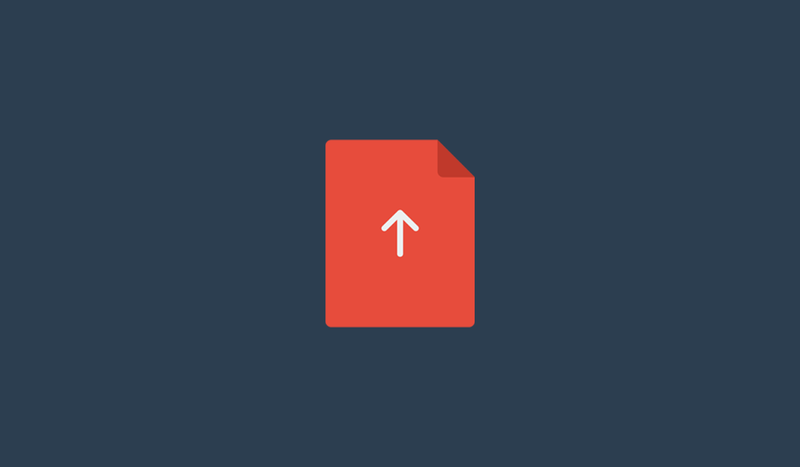 Git version Control – If you are a developer, this is something you’d be interested in. What Are The Different Types Of Hosting? Which One Is Suited To Serve Your Site? Some hosting methods are better than others but they are also equally pricier. Apart from the previously mentioned four hosting types, there is free WordPress hosting. But normally with such a service, there is a catch. For example, they’ll ask you to include adverts on your website. Free hosting services aren’t remotely as reliable as a paid hosting plan. If you are serious about creating a good website and generating revenue from your site, you shouldn’t consider free hosting plans. Now this is acceptable for small websites with less traffic. But should the server your site loads from ever get overloaded then all the websites on it, including yours will slow down. In other words, you get a good host most of the time but if your site or other sites on the same server start getting too much traffic, the server will either slow down or crash. Generally, your host provider will ask you to upgrade your hosting plan, when your site is the reason that its shared server resources are at its limit. Do not get fooled by unlimited disk space advertised by shared hosting services, this isn’t at all relevant. What you really need is enough RAM and CPU to enable your server to transfer your site’s data to its visitors quickly and with minimal response time. This will not happen, if your server is overloaded with requests from more visitors than it can handle. Given that this is the cheapest, it is also a good place for beginners with little or no blogging experience to start. This is the best option for low traffic websites which aren’t optimized for monetization. Not an advisable choice, if you are creating a website intended for high traffic and commercial purposes. With a virtual private server, you aren’t given the complete resources of any one server. Instead, the said server is partitioned with your needs in mind. You are given a certain amount of disk space, memory and processing power. You are given root access and you can modify the performance related components of the server to suit your needs. This requires quite a bit of technical expertise and isn’t recommended for a newbie. VPS plans and hardware are extremely flexible and scalable. With most hosting plans for VPS hosting, you pay for the resources that your website utilizes. Your website will never slow down or become unresponsive due to server overload, so long as you ensure that it has adequate server resources available to it. A server is leased out to serve only your website. The server’s full memory, processing power and disk space are at your disposal. Your website will almost never slow down. Here’s the catch, they are generally very expensive. Such hosting is required only if your website receives extremely high traffic, so much so that it needs a server unto itself to function effectively. You do not need a dedicated server, only high traffic sites need dedicated servers. Probably the best option for non tech savvy people, the technical side is completely taken care of by your hosting company. You can focus on making your website popular and creating awesome content. Even tech savvy VPS users sometimes fail to fully optimize their sites and as a result they aren’t as fast as can be. In this case, you do not have to worry at all. The hosting company regularly caches your website, they run malware scans, fix security loopholes as soon as they’re discovered, update your WordPress plugins/themes, run daily backups and if your site ever goes down they’ll perform a full restoration. They provide excellent support around the clock. For majority of users the best solution is going to be shared website hosting and the best among them is Bluehost which has the best price/performance ration. If you are on a very tight budget you might also consider Hostinger. With Hostinger you will get slightly less features in their base plan but its price will make up for it.